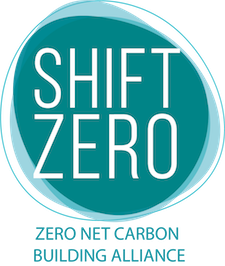 Exciting news from the Shift Zero PACER Task Force! C-PACER financing legislation has just been introduced in both the Washington State House and Senate. HB 1796 and SB 5730 would enable low-cost, long-term funding for energy efficiency, renewable energy, water conservation, fire protection, seismic, or flood readiness enhancements to new and existing commercial buildings. Known in many states as C-PACE (Commercial Property Assessed Clean Energy) financing, an “R” has been added to emphasize the option to finance resilience measures, in addition to clean energy investments. The first hearing is scheduled for Feb 12, 10am in the House Local Government Committee. More about C-PACER can be found in this policy brief and at shiftzero.org/pace. Contact your legislators today to voice your support Commercial PACER financing.